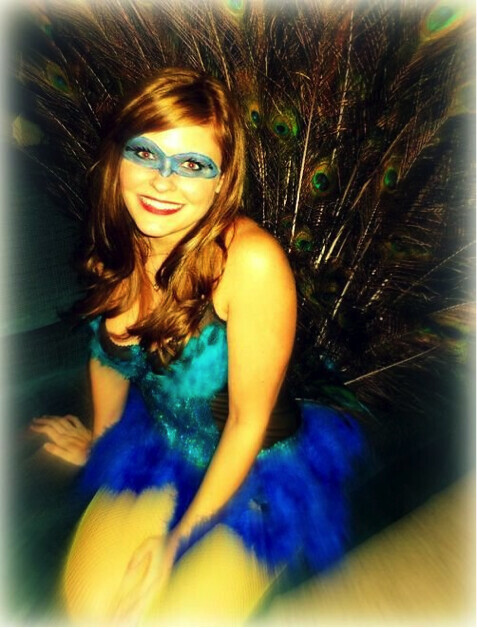 Well ladies, this is the third and final post in my DIY Halloween Costume Guest Blogger Series. Our last guest blogger is LaurenConrad.com member Noel Fortier. Congrats Noel! 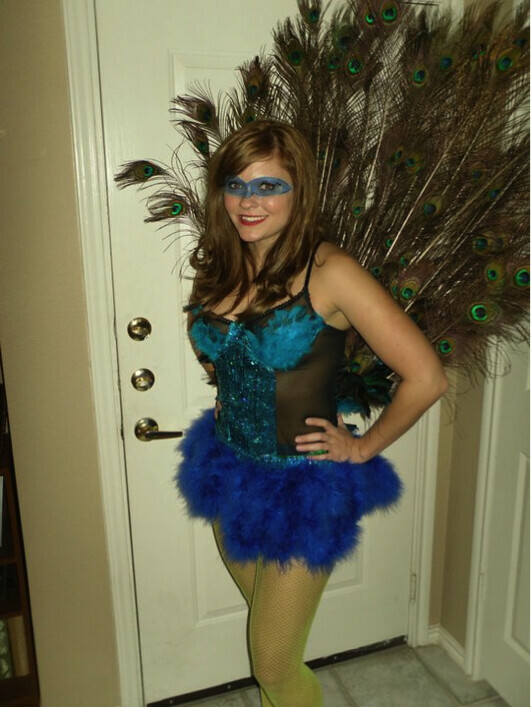 Noel will show you how to make a beautifully crafted peacock costume. I am somewhat obsessed with it… It’s brilliant! Anyway, let me know if you give it try. Step 2: Find a tight fitting tank you don’t mind changing up. 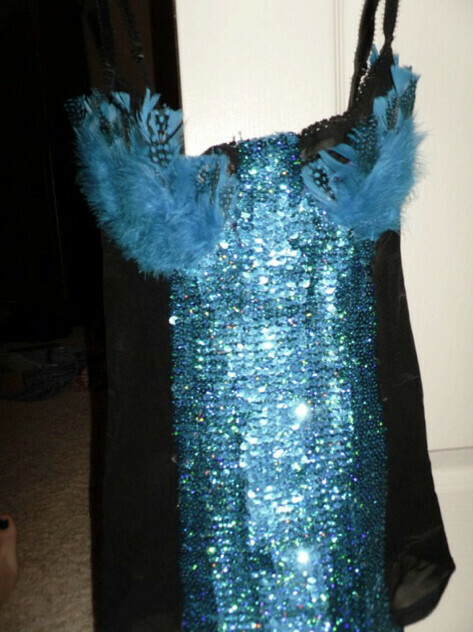 Add the same color elastic sequins wherever you would like on the tank using hot glue gun. I chose to put it down the center because everywhere else what just a mesh material. Add feathers to the cups of the top. Use any colors you want to match your peacock feathers. 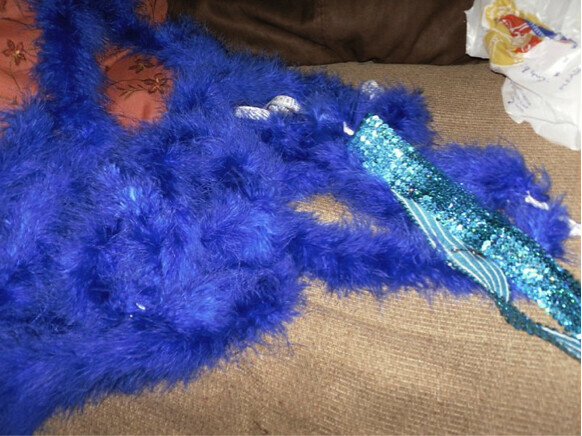 Attach feather and sequins using hot glue. 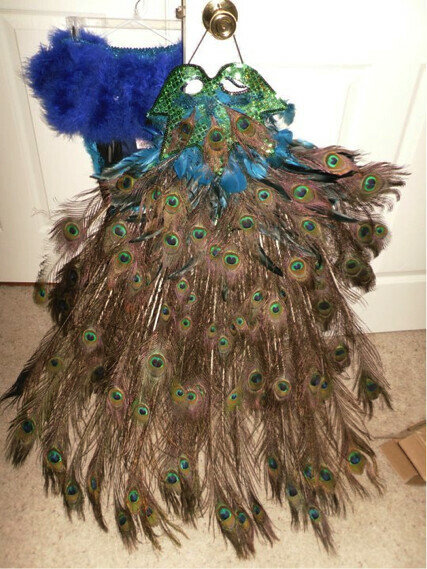 Step 3: Using a handheld fan or a mask, attach a variety of lengths of peacock feather so that they are spread out. I found my feathers at an online hobby store. Arrange the feathers so that they fan out and look full. I used the hot glue to attach everything. It won’t be extremely sturdy just yet so be careful holding it up. Final Look: Add some fun make-up or face paint to tie the whole look together. Put the skirt on with hot pants (or biker shorts) under, then the top. I wore bright yellow/green tights to add to the look as well. Tie the base of you feathers around your waist and hide the tie under your top and the waistband of your skirt. Then, loop two strings through the feathers and tie them to your straps for added support so they don’t fall backwards. You can’t ride in the car like this, so do this right before you enter the party. The fan of feathers should be really easy to take off and on if you do this without making any knots. There you go! This is what I did to create this costume. P.S. 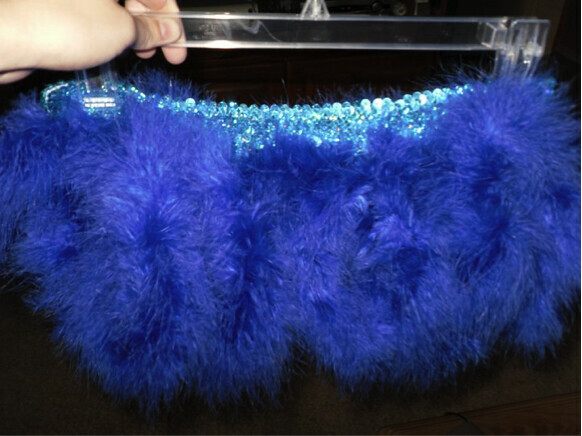 Has anyone tried out Pauli‘s Dorothy tutorial or Laura Pifer‘s Carrie Bradshaw tutu skirt yet? If so, upload a photo and post it to your profile. I’d love to see your handy work! I hope you guys are enjoying these DIY costume tutorials!